1. Spotify hardware coming soon? New rumblings suggest that Spotify is finally looking into releasing some hardware of its own. Best known as a music service that piggy backs on other company's hardware, new job posts point to something malleable being made. Quite what it is, we don't know - the obvious thing would be a speaker, but smart spectacles and a wearable are also rumoured. 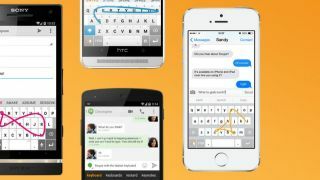 Swype is no more! The third-party keyboard app, which had the world swiping their phone keyboards instead of tapping them, has been discontinued. There is a very good reason, though - the functionality of the app has been built into many first-party keyboards so having a separate app doesn't make that much sense anymore. the Last Jedi Blu-ray has been announced and it's going to be in 4K! This is the first time a Star Wars movie has been released in Ultra HD so we're very excited by this. The disc is packed, too, with numerous deleted scenes and a feature-length documentary. And you don't have to wait that long for the release, either, as it is out in March. Facebook owns Oculus so it's a given that virtual reality would be shoe-horned into the platform at some point - and it's started happening in the form of embedded posts that have rotatable 3D objects. Like with the VR camera posts, you can use your phone to move these objects (LEGO and Jurassic Park has started to do this) but they really come to life when you don a VR headset. Asus has shown off a new Windows Mixed Reality Headset which promises to be easy to set up and works with over 20,000 Windows apps and 2,000 Steam titles. Oh, and the best part is, it looks great too. It's another headset that is pushing VR into the mainstream.